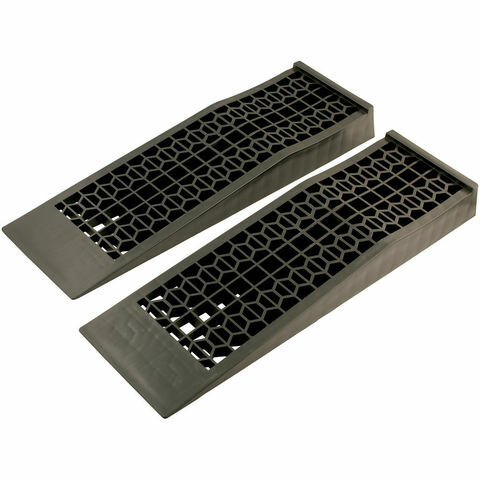 These Laser Low Rise Car Ramps are ideal for use with lowered vehicles and sports cars. Capable of withstanding up to 5000kg (per pair), these ramps allow access for trolley jacks under low cars, making access to the underside of such vehicles a lot easier and safer. When two pairs of the ramps are used, they are ideal for classic car storage, raising the car up and away from the potential build up of moisture under the tyres.